In his career, Lane has known a lot of women� Jackie Kennedy, Audrey Hepburn, Marella Agnelli, Diana Vreeland, the Dutchess of Windsor, Sara Jessica Parker, Lady Gaga are just a few of the stylish women who wear, or wore, Kenneth Jay Lane jewelry. Lane was inspired by these women and other jewelry designers like Harry Winston, Cartier, Seaman Schepps and Verdura but he also inspired other artists. Warhol did a portrait of him. I love thinking about the meeting of these two icons! Take a chance on some Kenneth Jay Lane earrings, or a bracelet or necklace that may be a little daring for you. Our Kenneth Jay Lane Jewelry is returnable. 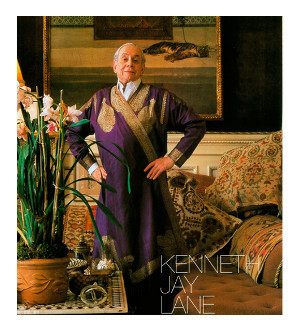 Click here to read more about the Kenneth Jay Lane back story. 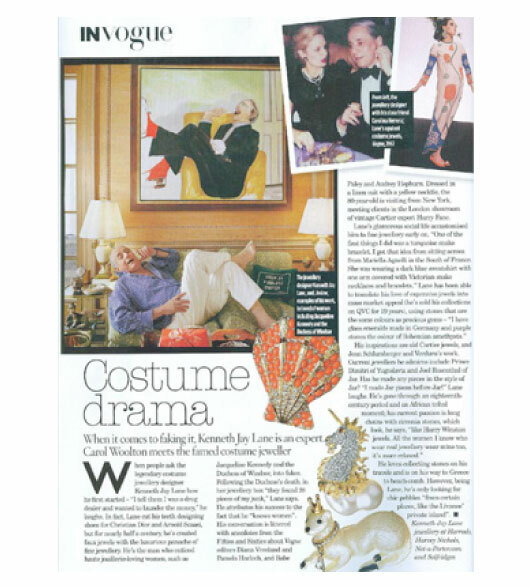 The pages, and covers, of Vogue, Town & Country, Harper�s Bazaar and all the best magazines have been featuring Kenneth Jay Lane jewelry for decades. Kenneth Jay Lane earrings, bracelets and necklaces are easy to wear and to use Lane�s word are �relaxed.� Perfect for those invites that say, �Dress: Casual Chic. No jewelry collection is complete without Kenneth Jay Lane jewelry. There are times when you just don�t want to worry about losing jewelry that has to be insured or has a sentimental value. 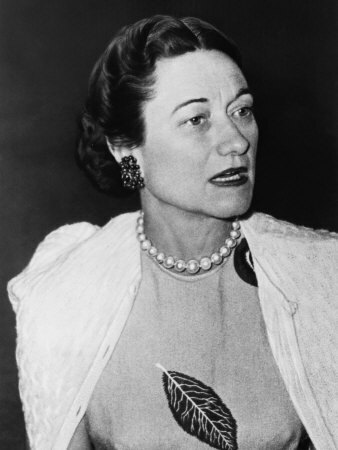 Lane told Vogue Magazine: �Costume jewelry really does make women happy.� Letitia Baldridge, Jackie Kennedy's social secretary wrote: "Good taste is synonymous with success in all fields of life. It's not a question of money but of a trained eye." You don't have to shop at Van Cleef's to look fabulous, especially when you know the secret of Kenneth Jay Lane jewelry. 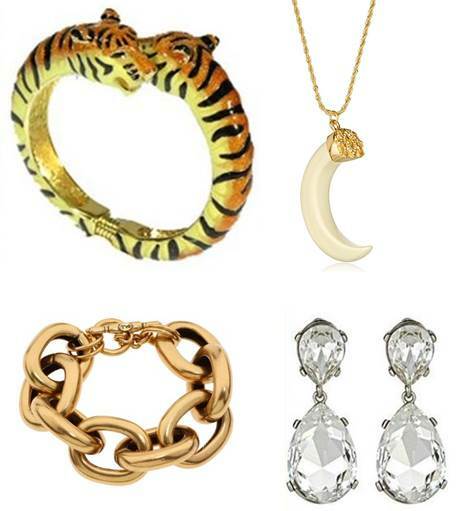 And he told them how delighted he was that when The Dutchess of Windsor died, 28 Kenneth Jay Lane jewelry designs were found in her closet among all her precious jewelry.� It just shows you style doesn't have to be expensive. Lane�s delight is warranted. The Dutchess of Windsor is a style icon and she was a huge fan of Verdura jewelry. The difference in zeros for the two designers� work is about 5 or 6. The pearls on the shot of the Dutchess to the right could easily have been Kenneth Jay Lane jewelry. See our Kenneth Jay Lane pearl necklaces. Pearls are a timeless look. In essence, your smile is much more important than the jewelry you wear. Hepburn was not a fancy person. 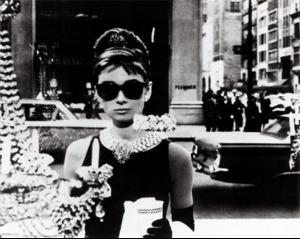 She is much better known for her fresh looks and hard work than her fancy jewelry, in spite of the movie.